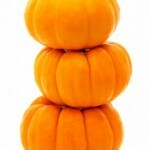 Juicing – Health from the inside out. The Juicy Beginnings… I am adding fresh-pressed juices to my life. Yet another way to get a variety of vegetables and fruits into my diet and feed every cell in my body with optimum nutrition. I purchased my new slow juicer a few weeks ago, and started easy… making fresh orange juice with my kids. Then I made carrot and pear juice. Then carrot and beet juice… I’ve even made straight up green juice (and I love my green smoothies). So, my days have evolved to include a green smoothie and a juice (typically carrots and a fruit, or carrots and beets). Then I watched “Fat, Sick and Nearly Dead”… and I was further inspired. Why not try a juice reboot every week, just for one day… where I can reset my body with optimal, fast nutrition in the form of fresh-pressed vegetable and fruit juices. It’s hard… even for just a day…but the next morning, you feel amazing… light and vibrant. I have only done a juice day once a week. Joe Cross in the documentary drank juice for 60 straight days and it has changed his life, along with so many others. You can get more information on juice reboots at Reboot with Joe. So, why Juice? Juicing allows you to consume a massive amount of vegetables and fruit in a serving. It’s much easier to drink a juice made of 10 carrots, 2 beets, 1 pear, 1 lemon.. .then it is to eat 10 raw carrots, 2 raw beets, a pear and a lemon in one sitting. The fresh juice is loaded with phytonutrients, vitamins and minerals… All the wonderful benefits of plant foods. You can take your juice to go, drink it fast or enjoy it slow. You can even juice vegetables you don’t like to eat and chances are, you won’t even taste them in your overall juice (this is what I do for celery!). Wake up: Drink 2 glasses of hot water (lemon and/or ginger can be added). Breakfast: Go orange or red for your juice. Mid Morning: drink 16 oz unsweetened coconut water. Throughout the day – drink lots of water. I double some of these recipes and sometimes drink two of the same type of juice in a day… Or I store the extra juice in a mason jar to enjoy the next day. I also think it is very important to use organic produce when you juice. The last thing you want to add to your juice is pesticide. 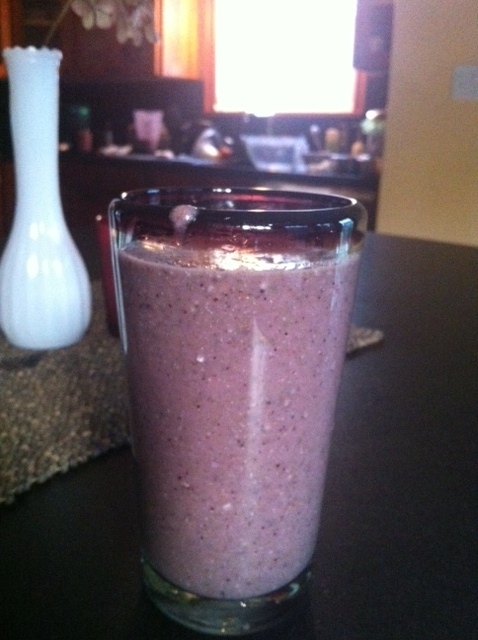 If I can boost my immunity by including juicing and blending into my healthy lifestyle….Then I’m in! The New Year is here and this might mean that you have a new fitness goal. A fun way to exercise is to attend a group Tabata class, or even add Tabata exercises to your own workouts. The intensity of Tabata requires you to work out harder for a shorter amount of time…. with excellent results. Tabata was founded by a Japanese scientist named Izumi Tabata and fellow colleagues at a department of physiology in Japan. It is a form of High Intensity Interval Training (HIIT)…. which requires you to work at a high intensity for a short period of time followed by a short rest period before repeating the high intensity interval again. One complete cycle of Tabata is 4 minutes long. Each round is 20 seconds of intense work followed by 10 seconds of rest. Each round is repeated 8 times, totaling 4 minutes. You can do one cycle of Tabata, or multiple cycles of Tabata. The 20 seconds of work is at full-effort. You must earn the 10 seconds rest. You can also count each rep you successfully perform for each 20 sec round. The lowest number of reps successfully completed in a round is your Tabata score. Your Tabata score can be used to monitor your fitness level over time. Studies have shown Tabata to increase both the aerobic system as well as the anaerobic system. Tabata enables shorter work-out times while achieving results similar to a longer work-out. What type of exercises make a good Tabata? My favorite Tabata timer app is the iPhone app “Tabata Timer” by Garaui Technology lab. You can also use a regular stop watch or purchase music that incorporates Tabata intervals. Tabata exercises are also a great travelling workout option. All you would need is a timer and a set of 6 Tabata worthy exercises to make up an intense 30 minute workout (includes a few minutes to warm up and cool down). With Tabata, work out harder… not longer! I drink a green smoothie every day. It gives me a large dose of greens, it’s easy and palatable, great for my body and skin and jam-packed full of nutrients. 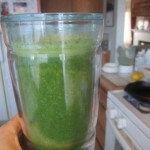 I think drinking a green drink like this, is the first step in creating a lifestyle that fights disease. 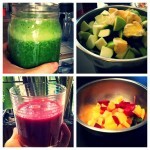 Green smoothies are easy to make, you just need a plan…. 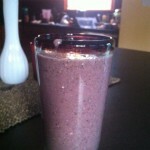 Experiment with the amount that best suits you… I usually add around 6oz of almond milk and 6oz water. Pick your greens (one or many)… examples are: Kale, spinach, swiss chard, dandelion, beet greens, collards, parsley, mint. Rotate your greens. It is advisable to not use the same greens every day for a long period of time. For more information on why you should rotate your greens see Rotate your Greens. Trader Joes and Costco have an organic blend of bagged power greens which include a variety of greens… great for making green smoothies. As an example, I use half a bag of Trader Joes Power Greens in each smoothie and sometimes add additional parsley or mint. Remember more greens than fruit. I use one piece of fruit per smoothie. If you are just starting green smoothies for the first time, you may need more fruit at first. Supercharge your smoothie with… chia seeds, hemp seeds, flaxseed, spirulinia, maca, goji berries, raw cacao, nut butters, protein powders, dried cranberries, fresh lemon juice. As an example, this morning my green smoothie consisted of: almond milk, water, power greens (baby spinach, baby kale, chard), parsley, asian pear, hemp seeds, chia seeds, cranberries, goji berries, juice of 1 lemon. Blend together the ingredients from each section above. Drink your smoothie straight away. Let me know how your smoothies turn out, if you have a favorite combination, or if you are now including a green smoothie in your day. Cheers! 1. Measure all the dry ingredients, including the spice blend into the bowl and mix together. 2. Add in the pumpkin and eggs, and whisk well. 3. Measure grapeseed oil and honey and beat in. 4. Line muffin tins with foil cups, or grease with cooking oil. 5. Evenly distribute batter. In 12 regular sized muffin cups, you can fill them about 3/4 of the way full. 6. Mix the topping and measure about a tablespoon onto each muffin. 7. Bake for about 22 mins, or until a toothpick inserted near the center of the muffin comes out clean. I think almond milk is a great thing, but have you read the ingredient list on a carton of almond milk? I thought making your own almond milk would be hard, but it is so easy and delicious that I won’t be buying it at the store again. 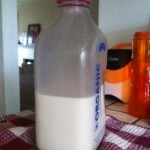 I like my almond milk plain and unsweetened… so I used this basic almond milk recipe. Soak the cup of raw almonds in water overnight. I put the almonds in a container with a lid and left them in the fridge to soak. After the almonds are done soaking, rinse and drain them. Add the soaked almonds and fresh filtered water to the blender. Blend on the highest speed for 1 minute or so. Using a nut milk bag placed over a large jug/bowl, drain the nut mixture from the blender. Gentle squeeze the nut milk bag to release the milk from the rest of the almond mixture. Pour the almond milk into a glass bottle. The almond milk can be stored in the fridge for 3-5 days. Optional add ins - If you prefer your almond milk sweetened or flavored, optional add ins would be: a couple of pitted dates, or a chopped vanilla bean, or 1/4tsp of cinnamon. After the almond milk is filtered through the nut bag, add it back into the blender with any of the add ins and give it a quick and final blend. Blender envy - I used my friend’s Vitamix blender to make this batch of almond milk. It was fast, a cinch to clean up and the milk was super creamy. I’m hoping my little Oster blender will have similar results.. if not, a Vitamix will be on my Christmas list. Let me know how this goes for everyone and their blenders. So healthy and so easy! Popsicle sticks (available at Target or any craft store). 2 plastic cups – One labeled “Daily Workout”, one labeled “Done”. Label each popsicle stick with an exercise. I have provided some example exercises below. 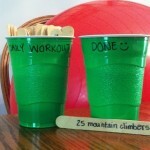 Each day you can grab all, or a few, popsicle sticks from your “Daily Workout” cup. When you have completed the exercise, put the popsicle stick in to the “Done” cup. When all exercises are in the “Done” cup, repeat. Here are some example bodyweight exercises that you can write on the popsicle sticks. Enjoy your vacation and stay healthy! I was having dinner with friends the other night and the question was raised, “are processed foods making my kids crazy”? My answer was “Heck, Yes!” This blog contains the information that led me to that answer. What a typical American eats has been referred to as SAD (Standard American Diet). This is based on a typical diet that is mainly comprised of food that is packaged and processed. Processed food can be high in trans fat, sugar, preservatives, artificial flavors and colors, bleached flour, GMO soy/corn/wheat… and as a result devoid of nutrients and fiber. In fact, nutrients and fiber are actually removed from processed foods during their creation so that the texture of the food will be more desirable to the palette. Then they have to artificially add nutrients back into the food so that we can actually eat the processed food. Avoiding processed food is ideal, but not always possible. As a Mom I know that sometimes you just want to grab something in a packet and run out the door. Ideally you try and eat real whole foods (ones with a mother or grown from the ground) but when that’s not possible, what should you look for? Do not just read the package’s front label, this can be deceiving. You need to educate yourself on the ingredients you should avoid and why, and then look at the entire product’s ingredient list. Some simple rules of thumb are, the shorter the ingredient list the better, and if you can not pronounce an ingredient then do not buy the product. Hydrogenated fats (includes shortening, partially hydrogenated oil) – this can raise your LDL “bad” cholesterol, reduce your HDL “good” cholesterol, and shrink your LDL particles increasing the risk of clotting and heart attack. Hydrogenated fats also increase the body’s inflammation. Refined Grains – (white pasta, white flour tortillas, white rice, white bread) – Refined grains have had the germ and the bran of the grain removed by a chemical process, and then nutrients are often “enriched” back into the product to meet nutritional guidelines. Not ideal at all. To avoid refined grains, look for 100% whole … as the first ingredient. High Fructose Corn Syrup (HFCS) – Not only is HFCS created using GMO corn, but it also can mess with your hormones. HFCS has been shown in obesity studies to prevent the body from releasing leptin and insulin, the hormones that let you know that you are full. Glutamates – (Includes, MSG, autolyzed yeast, calcium caseinate, gelatin, glutamate, hydrolyzed corn gluten, hydrolyzed protein, textured protein, yeast extract) – These are flavor enhancers. Glutamates are excitotoxins, which can be devastating to the nervous system. Artificial Sweeteners – Not only is it a chemical, but it has also been shown to increase your risk of metabolic syndrome and cause autoimmune diseases. Consumption of artificial sweeteners have been linked to causing permanent damage to the appetite center of the brain. These are also considered excitotoxins. Preservatives and Artificial Colors - Avoid artificial colors with numbers (e.g. Red 40, Blue 2), Potassium Bromate, Sodium Benzoate, Benzoic acid, Sodium nitrate, sulfites (sodium bisulfite, sodium dioxide), MSG and BHA. Avoid processed meats that contain sodium nitrate. BHA is considered “relatively safe” but also a “reasonably anticipated known human carcinogen”… and it’s in a ton of processed foods. Artificial colors have been linked with cancer and behavioral changes. The Center for Science in the Public Interest provides a comprehensive table with a list of safe, relatively safe, and unsafe additives in food. Back to the topic of processed foods and crazy kids, there have been a number of studies on kid’s behavioral problems and artificial colors and preservatives. Some do not believe that it makes a difference, however many studies clearly link hyperactivity with food additives. For example, in 2007 The Lancet reported on a study that showed an increase in hyperactivity of children when they were reintroduced to artificial colors and/or a sodium benzoate preservative (see link below). Changing your diet to limit your family’s consumption of these ingredients can do you no harm. So why not give it a try? You may feel better and your kids may stop acting “crazy”. Sounds like a win-win to me. Environmental Working Group – information portal for all making healthy choices and enjoying cleaner environment. 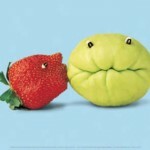 Shopping Guide to Pesticides and Produce (Environmental Working Group). Includes information on organic foods (the dirty dozen, and the clean fifteen). Autoimmune disease… “an inappropriate immune response of the body against substances and tissues normally present in the body”. Recently, I have heard this diagnosis a little too often. It could be considered as relatively good news.. in that your body is not fighting something scarier, but at the same time the body is fighting something with an unknown cause. How can this even be possible? Can we do something to change this? I just got back from the IDEA Personal Trainer Institute in Seattle… not only am I inspired, but I also feel like I lived every day well while I was there. As I consider this.. I know it has the majority to do with what I ate over the weekend. Not only did I make good food choices and drank lots of water, but I also ate a plant-based diet. I’ve done this a few times – been inspired to follow a plant-based diet, particularly after I read Eat to Live by Joel Fuhrman, Omnivores Dilemma by Michael Pollen, Fast Food Nation by Eric Schlosser, or watched the documentaries Forks over Knives and Food Inc.
One of the sessions I attended was Boosting our Immunity by Teri Mosey. Totally inspiring! After the session it got me thinking… eating is not just about fat loss and being lean (which is what I have recently been striving for), it’s also about using food to optimize my life, improve my immunity, fuel the cells in my body. According to Mosey, every system in our body is intertwined… the skeletal, muscular, endocrine, digestive, immune system… the list goes on. If 75% of your immune system is linked to your digestive system, and 90% of your body’s serotonin is in your stomach… how can what you eat not matter to your whole body? Well evidently it does! So… what should you eat? What is optimal for our body? The body is a self-healing system. If self-healing is optimal, you are physically a new person every 7-10 years. You want the pH of your blood to be slightly alkaline. This is ideal for your immune system and allows optimal self-healing. In an alkaline body, cancer cells can not grow. Anti inflammatory (alkaline forming foods) include walnuts, avocados, bitter-leafy greens.. The most genetically-modified food in the US are wheat, corn and soy. The only sugars that do not harm the immune system are maple syrup, unheated honey, unrefined cane juice. The digestive system is our enteric brain, our second gut… hence the term “go with your gut”… therefore by keeping your digestive system balanced and healthy you can positively effect your emotions. Supportive nutrients for a healthy digestive tract include, cinnamon, cayenne, cumin, mint, ginger, sage, thyme, rosemary, papaya, pineapple. Natural prebiotics (food that feeds the good bacteria in your stomach) are bananas, raw garlic and raw sauerkraut. The number 1 causes of allergies/intolerance are gluten and dairy. Grass-fed, organic, antibiotic and hormone-free meat should be consumed in moderation. Going gluten free needs an all-or-nothing approach. As soon as you have one meal with gluten, you have caused inflammation and you are back to square one. To reduce gas from beans, cook with Kombu seaweed in the water (and scoop off the foam in the water while boiling) or used Eden bran canned beans (organic, non-BPA can linings, cooked with Kombu seaweed and not salt). So..I found this information really interesting and I am definitely going to try a plant-based diet while I keep researching … but be your own nutritional detective – we are all different.. find what works for you!